Join us this Wednesday, July 30th from 5:30-7:30pm for Locally Sourced at The Patio at Café Brauer in the Lincoln Park Zoo. 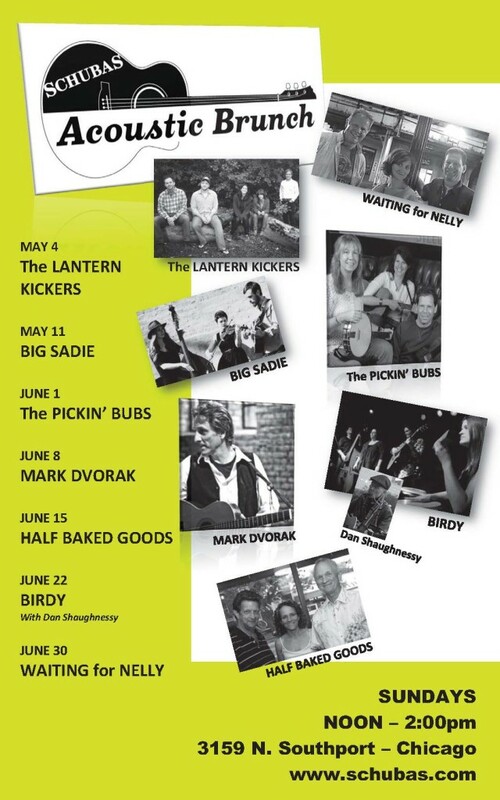 Looking forward to playing the Acoustic Brunch at Schubas this Sunday, May 11th from noon-2pm. 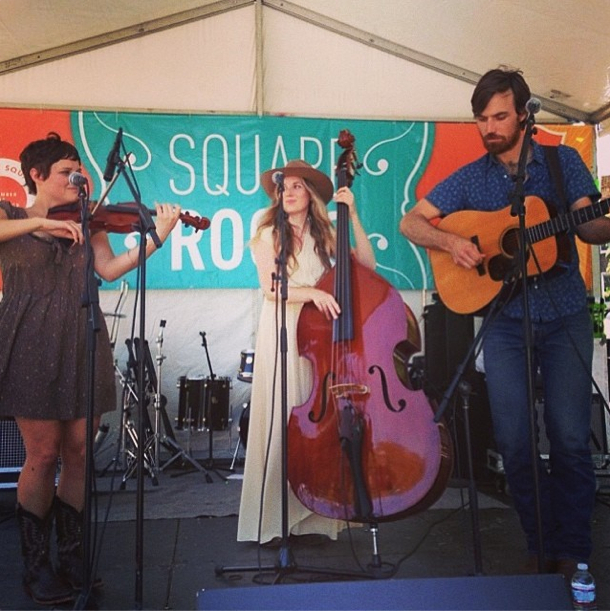 It’s Mother’s Day, so bring your mommas! 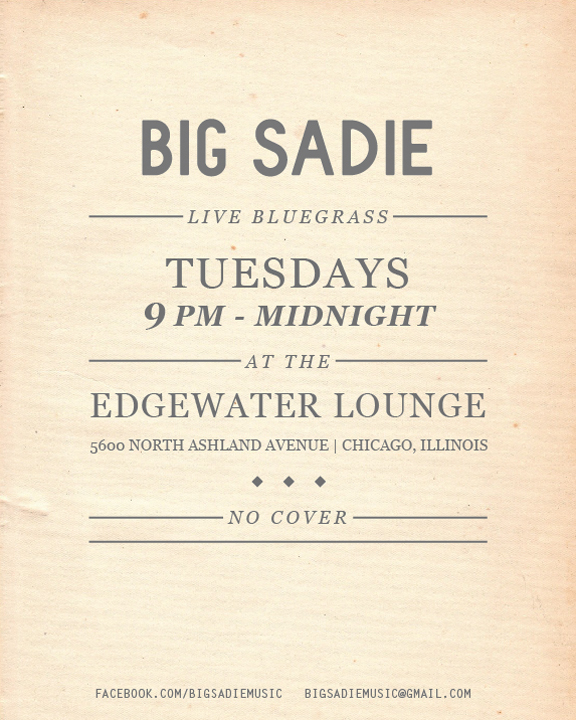 Catch Big Sadie every Tuesday night at the Edgewater Lounge in Andersonville! Introducing Big Sadie! 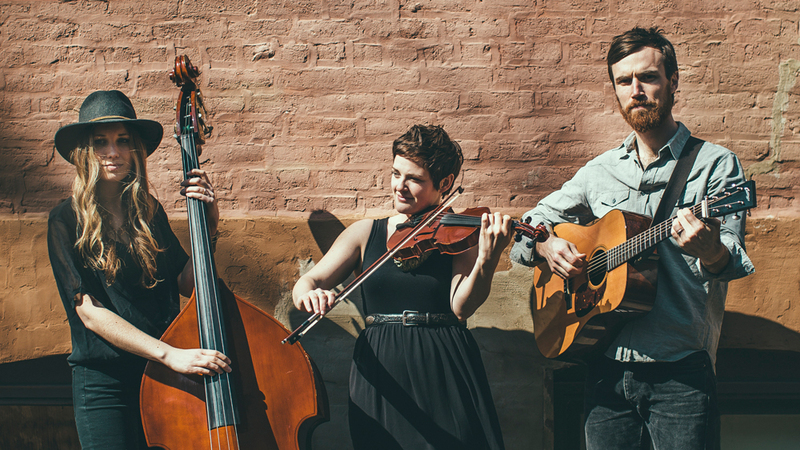 The Chicago-based bluegrass and old-time trio is Elise Bergman on upright bass, Collin Moore on guitar, and Jess McIntosh on fiddle.